The Minister of Communications, Dr Edward Omane Boamah has asked former President, John Agyekum Kufour to stop ‘deceiving Ghanaians’ as far as achievements in the Volta Region is concerned. This comment is in reaction to former President John Agyekum Kufuor’s accusation that the Mahama-led administration are claiming projects undertaken during his tenure as their own. Citing the Keta sea defense project, the former President accused the NDC government of squandering money meant for the project. “They claim we did nothing in the Volta Region. Let’s start from Keta. The money they acquired for the sea defense wall, they squandered it. It was during my tenure that we constructed the wall” he said. However, contributing to a panel discussion on Radio Gold’s Alhaji and Alhaji, Omane Boamah said the people in the Volta Region are aware of the good works of the ruling government and will not allow themselves to be deceived by the opposition party. “The sea defence wall was a campaign issue in 2000. They (NPP) had said that Rawlings had brought in some money and was protecting the Sea because he is from the Volta Region. 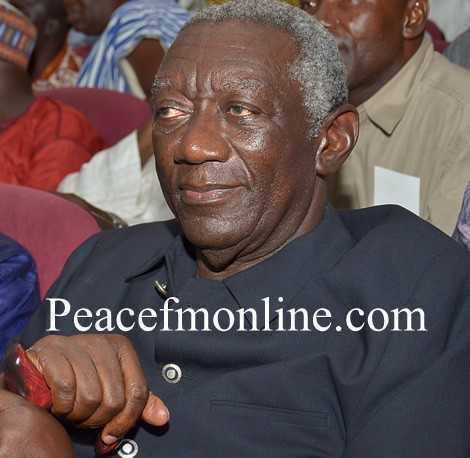 If President Kufuor is not going to speak to this (Panama Papers), he has no business wading into this particular issues in the Volta region because the Volta region and the NDC has not forgotten and will never forget the ill treatment they have meted out to some NDC big wigs. Stop deceiving Ghanaians” he said. “Beyond his mistake, he even said he established the Ho Polytechnic. He also spoke about the fact that the NDC officials chopped the Keta Sea Defence project money. The viciousness with which they prosecuted the NDC officials including Dan Abodakpui and Tsatsu, I believe if they had any evidence that the NDC had spent any money, they would have been in jail by now” he added.